This Resources page is going to give you all access to lots of juicy information, tips, and useful stuff that will help you with your business accounts. Its brand-spanking new, but already I've added links to a tonne of really useful HMRC pages. I don't know about you, but I find it scarily easily to fall down the rabbit-hole that is the HMRC website whenever I'm on the search of some vital information. I have found myself with a bookmark list jammed with quick links to all HMRC's best bits (they have some fabulous stuff, once you've found it! ), and so I can now share some of those key resources with you. Most importantly, I'll be giving access to some free downloads. And to start, I've got a link in the Resources page so you can get yourselves a free spreadsheet download. Its perfect for keeping track of income and expenditure (saving you the time of having to format one yourself). I've also built a summary page into it so you can see, at a glance, your profit and loss. 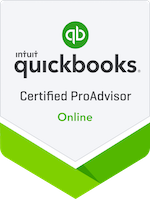 Its not quite as brilliant or useful as dedicated accounting software like Quickbooks - but its super handy for those of you who are just starting out, or don't yet have the budget for any software. I hope it helps!